This message can only be received by those who are called by God to salvation. 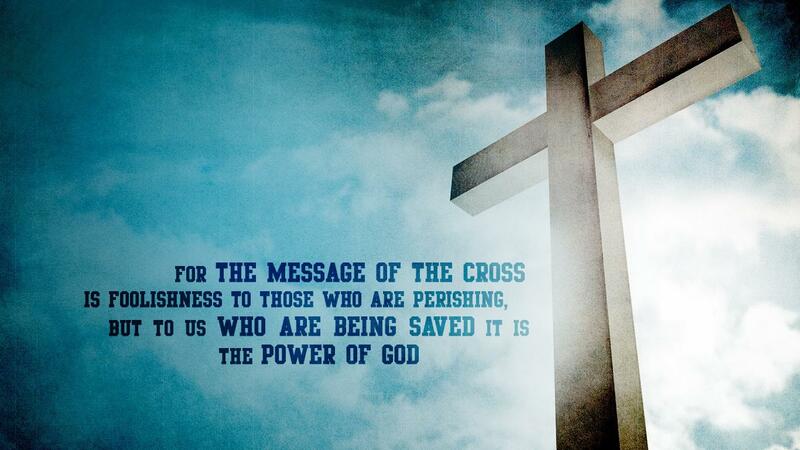 The message of the cross makes no sense to those who are perishing, meaning those who have received the mark of sin. To these persons the message of the cross appears foolish so they disregard it disdainfully. These people believe that they are wise because of their intellectual and technological abilities. The message of the cross does not consist of complex mathematical formula or scientific hypothesis. Thus, the wise men of this world disregard the message as foolishness. But, did you know that this is exactly how God ordained it? God simplified the message of salvation so that only those who have a meek and humble heart will receive it and be saved. Acknowledging that you are a sinner. The above is the “foolish” message of the gospel of salvation, but it is filled with the wisdom and power of God to save and make you whole. I would rather be a part of the things that this world considers base, foolish and dispised because the foolishness of God is wiser than men and the weakness of God is stronger than men (1 Corinthians 1:25). Would you rather be a part of the foolish things of this world or the wise things of this world? Thanks Beverley, we read 1 Corinthians 1:18, the other day – it explains a lot! Wonderful scripture reference. Thank you for sharing. For sure we will be.